Living in a subtropical or tropical area is a wonderful experience for gardeners. Year-around gardening without a greenhouse is every serious gardener’s dream. 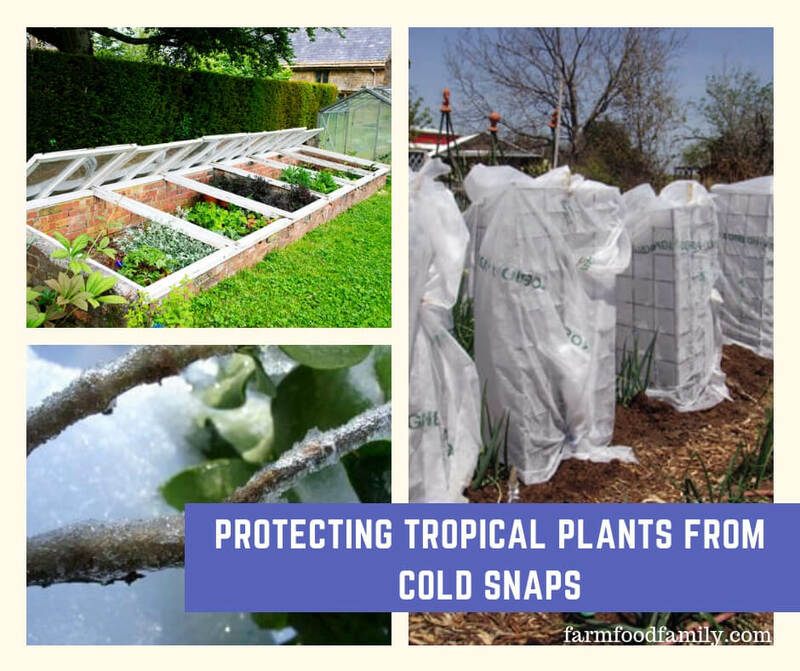 While temperatures in subtropical and tropical areas rarely dip below 40, there are those occasional cold snaps, where protecting tender plants is necessary. Well watered plants are more likely to survive the cold, especially if the plants are too large to be covered. Tropical trees and edibles will likely sustain leaf or limb damage, but if they are well watered, they have a much better chance of staying alive to grow back. Plastic and PVC pipe or wood can be used to create a temporary cold frame that will protect smaller plants. If the area has regular cold snaps, it may be beneficial to construct something that can be removed in warmer weather, yet easily reconstructed during the winter, such as a simple hoop house. Again, be careful not to let the plastic touch the plants, and to provide air circulation during sunlight hours so that heat doesn’t build up inside the structure.